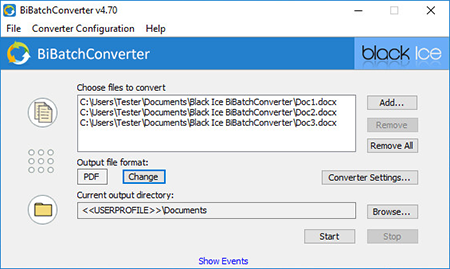 BiBatchConverter Server is the Server edition of our universal document converter to convert any printable file to editable PDF or to common image file such as TIFF, JPEG, PNG and more. 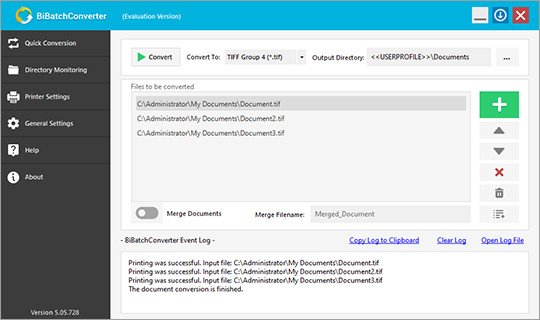 The BiBatchConverter Server can convert Web HTML, Adobe PDF, Microsoft Office Documents (DOCX, DOC, DOCM, DOT, DOTX, TXT, RTF, XLSX, XLS, XLSM, XLSB, CSV, PPSX, XPS, PPS, PPSM, PPT, PPTX, PPTM, Visio), Image Files (TIF, JPG, JPEG, BMP, GIF, PNG, DCM), AutoCAD (DWG) files, Email files (MSG, EML), EMF documents and any other printable file. 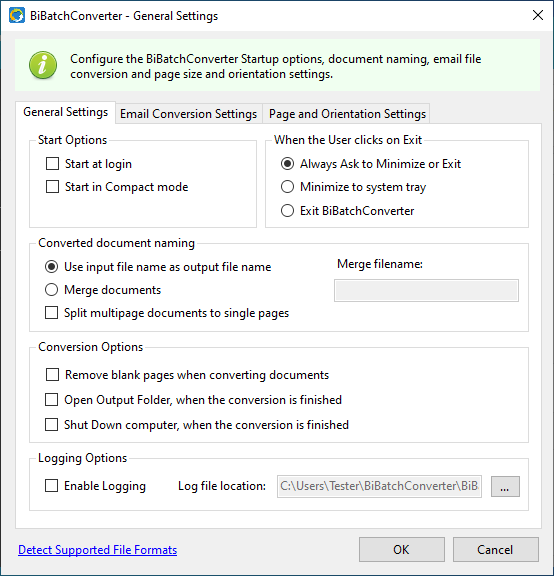 BiBatchConverter on Servers can be used as Batch converter or as a desktop document converter by utilizing the “Drag & Drop” feature for document conversion. 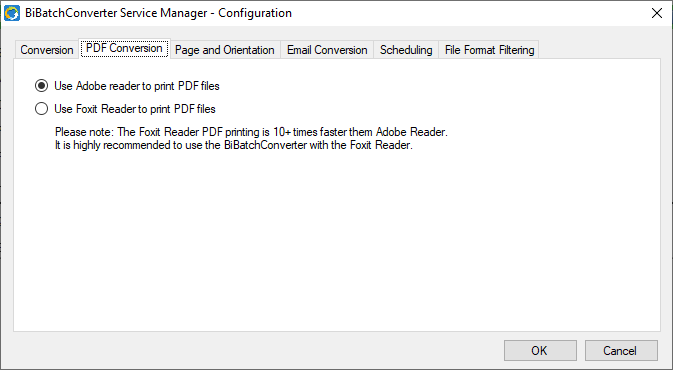 Automate the document conversion process by using the BiBatchConverter as a Batch converter. 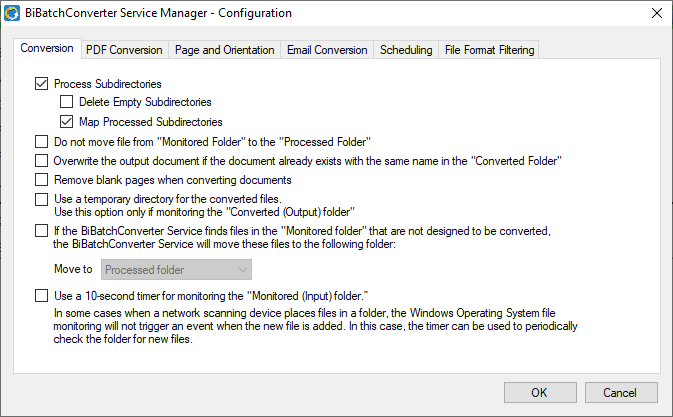 BiBatchConverter can monitor directories for documents or schedule a conversion process on a given time and day. 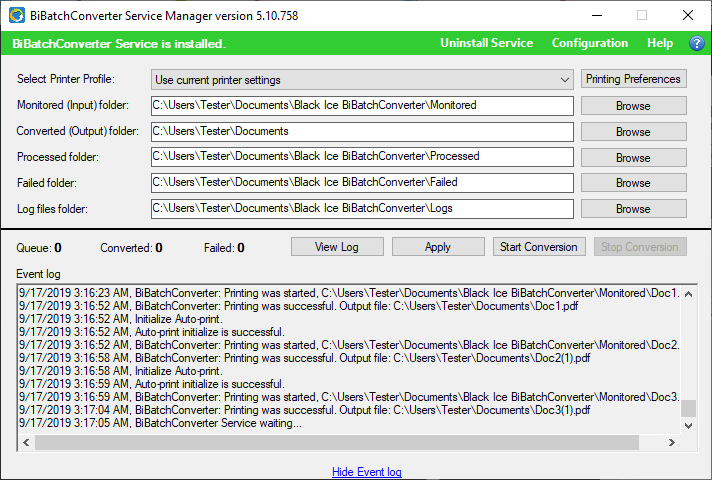 BiBatchConverter is based on the Black Ice Printer Driver technologies which are highly optimized and feature rich document conversion tools. 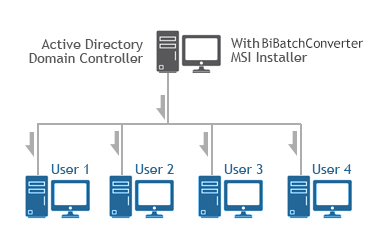 Purchase more server licenses to your current license. 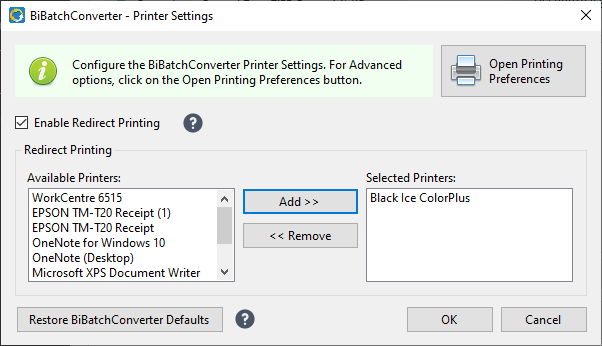 Additional discounts given at checkout!